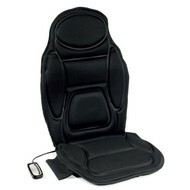 Enjoy the enjoyment of the massage at your home, office or create a massage salon from your car. 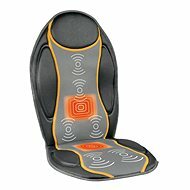 The Ecomed pad will release your back muscles by choosing between two levels of intensity exactly as you like. 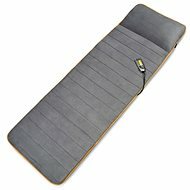 The pad can also heat the muscles, further increasing the effect of the massage itself. When processing the product, emphasis was placed on the ease of use. The material is easy to clean and easy to clean. The controls feature two buttons on the side of the pad to easily adjust both the power level and the heating capability. For shipping to other EU countries visit this page ECOMED MC-85E. Für Versand nach Deutschland, besuchen Sie bitte ECOMED MC-85E. Chcete doručit zboží do Česka? Prohlédněte si ECOMED MC-85E. Chcete doručiť tovar na Slovensko? Prezrite si ECOMED MC-85E. Für Versand nach Österreich, besuchen Sie bitte ECOMED MC-85E. Magyarországra történő kiszállításért tekintse meg ezt a termékoldalt: ECOMED MC-85E.